World AIDS Day is observed every year on December 1. This year, it will be the 21st annual World Aids Day. 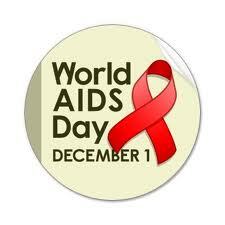 The aim of this day is raising awareness about the AIDS pandemic which is caused by HIV infection. Memorials to honor persons who have died from HIV/AIDS are held on this day. People from different walks of life come together for the cause of HIV infected people. Today 33 million people in the world are HIV positive. From among this huge number, only about 4 million are receiving treatment. According to the statistics released by UNAIDS and WHO, this global epidemic is slowing down. However, there are some hard-hit countries where nothing seems to be helpful. In June 2008, a joint WHO/UNAIDS report stated that about three million people were receiving anti-retroviral drugs in the developing world, less than a third of the 9.7 million people who needed them at that time. It means that 6.7 million were dying for lack of drugs. AIDS researches are being conducted vigorously all over the world in two key areas- for finding a cure for HIV/AIDS; and for developing an effective vaccine to prevent it. However, even with all ongoing efforts, any effective solution doesn’t seem to be there for AIDS treatment. AIDS vaccine conference is being organized every year since 2000 for exchanging information related to HIV vaccine research and development. It aims at providing a platform for an international exchange of information in HIV vaccine research and development; cross-fertilizing scientific areas of research; increasing coordination and communication among international groups; and monitoring progress in the field.